E-Commerce websites are the most popular as business has gone online and the shopping preferences of all people have changed with their busy schedules. Ecommerce website is a basic requirement of all businesses that wants to promote its business through an Online Shop. Ecommerce websites are mainly developed for online sales of products and services. CreativeWeb4U can design the best Ecommerce websites with interesting concepts. We have been proved ourselves as best E-commerce company in Bangalore, E-commerce solution company, E-commerce services in Bangalore. We provide E-commerce hosting services, E-commerce shopping cart solutions, E-commerce web development at very affordable price and confidently marked as unique E-commerce Company in Bangalore, India. Ecommerce websites are developed with the integration of shopping cart software and payment gateway. All the products and specifications with pricing & best deals are initially added and constantly updated by the admin staff of the company through the back-end content management software. Customers can visit the Ecommerce website to select the products, add it to the cart and further payments for the purchase can be made online through the online payment option. Ecommerce websites also give an option to customers who do not intend to make online payments to pay on receiving the purchased products through cash on delivery. Ecommerce websites have no doubt changed the shopping trends globally where customers enjoy exploring and researching about the product online and then purchase it online with a best deal. The CreativeWeb4U team has the expertise to analyse your business and design a very interesting Ecommerce Website which will surely attract online visitors for shopping purpose. 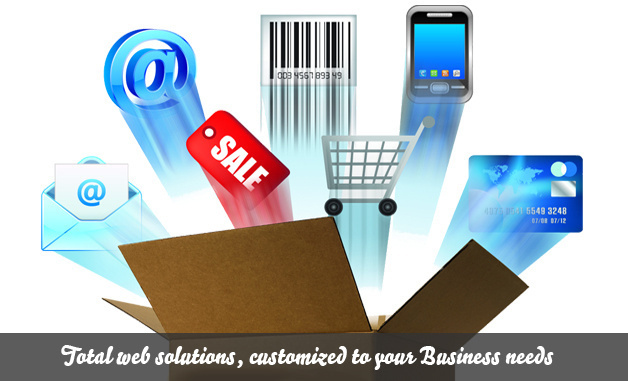 CreativeWeb4U is known among the best Ecommerce solution & E-commerce Company in Bangalore.